RAWALPINDI: Director General of Inter-Services Public Relations (ISPR) Major General Asif Ghafoor Sunday said work on around 900-kilometre fence along the Pakistan-Afghanistan border had been completed. Briefing a team of journalists and anchorpersons at Ghulam Khan, a bordering village in North Waziristan Agency, he said the work on the erection of about 1200 km chunk, the most sensitive portion out of the total 2600km-long-border with the neighbouring country, had commenced last year. Zero Point is the entry and exit point of Pakistan from Afghanistan where a formal border post was constructed last year. Maj Gen Asif Ghafoor said the project would cost about Rs 70 billion, which also included the cost of gadgets and surveillance equipment to keep strict vigil on the illicit movement from across the border. He said the fence had amply helped check the movement of terrorists from across the border and it would further assist after completion of the project which was expected to culminate next year. The visit of media-persons was conducted for the first time in the country’s history as no such activity could have happened as all the area had been “no go area” for the civilians or even by the security forces themselves. The area was used to be the part of ‘Ilaqa-e-Ghair’ and no civilian could ever dare to think to deliberately visit the places, since even before the country had come into being. 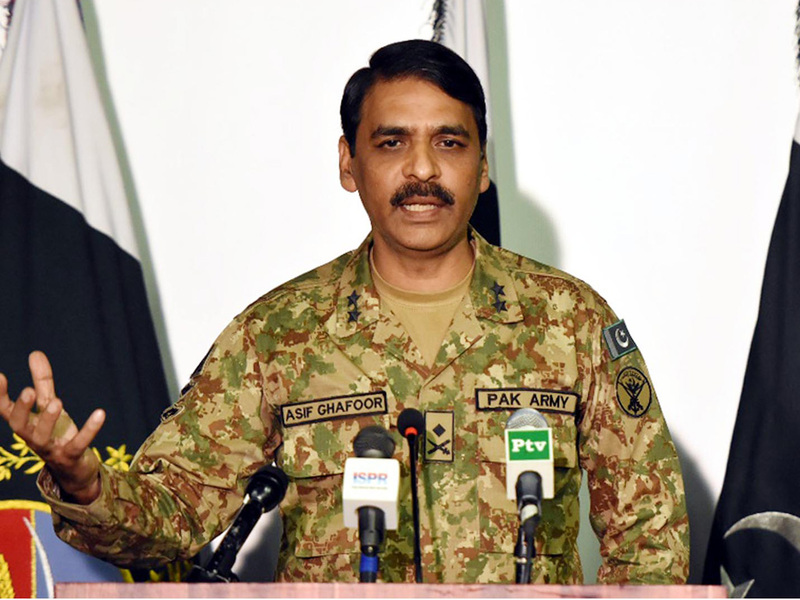 Giving break-up of the fence, the ISPR DG said about 1200 kms of the border lay in Khyber Pakhtunkhwa while the rest part of the total 2600 kms was in Balochistan. Answering a question regarding the impact of reconciliation process in Afghanistan, he said Pakistan had been playing a role into it and if the parties concerned stroke some mutual settlement it would ultimately be in its interest also. Due to that settlement, he said, the terror elements having the backing of inimical forces in Afghanistan, like the TTP [Tehreek-e-Taliban Pakistan] would have to opt for some reconciliatory path as they would be left with no other choice. Meanwhile, in an interview with local media, Gen Ghafoor said they hope that Kabul will be able to focus on groups like the TTP and Da’ish, which carry out attacks in Pakistan. “Afghanistan should then focus on eliminating these threats to Pakistan,” he stated. Earlier, Commander 11 Corps Lt Gen Shaheen and his team separately arranged a briefing at the Corps Headquarters Peshawar. During the question and answer session, the Corps Commander said after the end of war in the area the troops were now in the process of consolidation while steps were in hand to resettle about 4,000 families, which had earlier gone to Afghanistan some four decades back. He said 95% work on the resettlement of Internally Displaced Persons (IDPs) had already been accomplished. As regards the Pashtun Tahafuz Movement (PTM), he said most of their demands had already been met with while the rest, if any, could be sorted out through a dialogue process. The ISPR DG, on the issue, added that the PTM leadership instead of making hue and cry abroad should sit with the local leadership and seek settlement of their genuine grievances. It merits a mention that the Pashtun movement had made several demands including a reducation of security checkpoints, eradication of landmines, recovery of missing person, among others. Meanwhile, the delegation of journalists was also taken to Miran Shah, the district Headquarters of North Waziristan where they directly interacted with the local populace. They, including students, traders and common citizens, while interacting with the media persons welcomed the role of Pakistan Army in restoring complete peace in the area. On the occasion, head of the Petroleum Dealers Association Raqib Gull said the local administration had carried out estimation of the losses caused to the petrol pumps in the area. He said around 69 petrol pumps were damaged and they demanded financial compensation of Rs 560 million. While interacting with the local populace, Gen Asif Ghafoor said steps were in hand to sort out their genuine demands, besides promptly undertaking work on the development schemes. Meeting with the longstanding demand of the people, he said mobile service in the area would be launched in March this year.